Ever had your phone die on you at the worst moment? This woman could certainly relate. 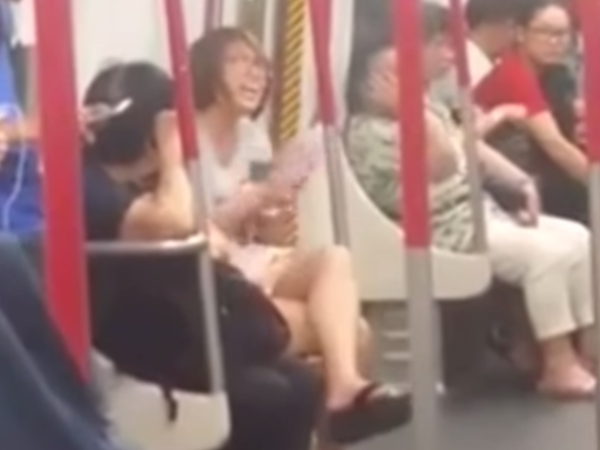 In a video posted on Facebook by Hong Kong-based make-up artist Akira Chan, a Chinese commuter is shown having a full-blown tantrum after her phone reportedly died during a train ride. Fellow commuters silently watch as she bawls her eyes out, proving that an inconsolable child has nothing on her. Incredibly, the woman is not the first time someone threw such an epic tantrum in public. In January, a woman lost it after missing her Ferry at a Canadian terminal. The viral video shows the woman shrieking at the top of her lungs and stomping her feet.